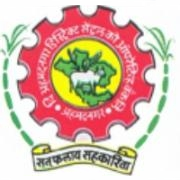 Most of you might have heard about public sector banks only, but there are job offers in co-operative banks as well.Ahmednagar District Central Cooperative Bank Limited (ADCC Bank) has released a latest recruitment notification to fill 459 posts of Junior Officer, Clerical, First Class Officer and Second Class Officer for its branches across the district. It is not necessary to posses IBPS exam score inorder to apply for these district cooperative banks as they conduct their own selection process for these recruitments. - Education: For Junior Officer and Clerk: should have attained graduation degree in any stream from a recognised university. For First Class Officer and Second Class Officer: Candidates must have Post Graduation degree along with 05 years of experience. Applicants willing to apply for ADCC Bank are required to pay the following fees at the time of online application. Interested and eligible candidates may apply online through ADCC Bank website adccbanknagar.org or ahmednagardccbexam.com from 10-06-2017 to 30-06-2017.